Hudson Valley Hawks vs Delaware Destroyers on May 3, 2008 at Beacon High School. Hawks win 119-113. 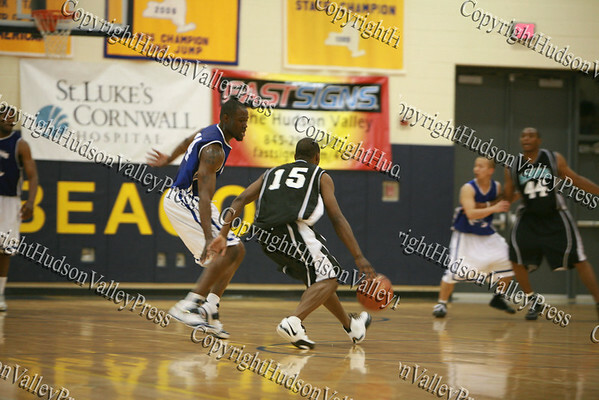 Hudson Valley Hawks' Willie Coleman (#15) is too fast on his feet for the Delaware Destroyers during their May 3, 2008 game.